Hi everyone, I have decided it is time to set up a dedicated blog for my Alice in Wonderland themed jewellery. Since I started making jewellery my Alice in Wonderland creations have been some of the most popular amongst my jewellery designs. I am very happy to say that I have sold lot's of lovely designs and I will be continuing to sell new creations on my Cherished Trinkets website. I will also post exclusive new Alice designs on my Alice in Wonderland jewellery blog as well as show casing my entire Alice collection and previous Alice in Wonderland designs. I really adore the Alice in Wonderland story and i am always overwhelmed by the amount of lovely emails I get about my Alice in Wonderland jewellery creations. Please pass on my Alice blog details to all your friends. So follow my blog to see more of my exclusice Alice in Wonderland jewellery collection. 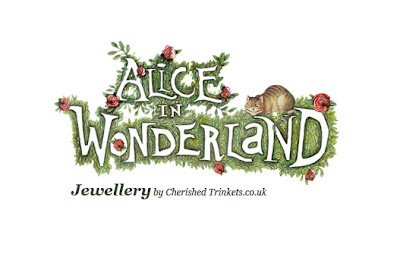 As always you can purchase Alice in Wonderland jewellery on my Cherished Trinkets website.